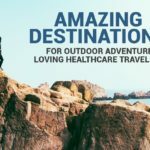 If you’re a healthcare traveler and you have a pet, chances are you’d love to bring your pet with you on your travel assignments. The thought of leaving your pet at home may bring you a great deal of anxiety. Good news is that many short-term housing companies allow traveling healthcare providers to bring their pets with them. With that in mind, there are some tips to make traveling with your pet as easy as possible. Granted, if you’re traveling within a short distance, it may be an easy task, but traveling across long distances can bring along some challenges. However, with proper planning and preparation, you’ll ensure the comfort of your pet during the journey and the temporary stay. If you must fly to your travel job, research and observe flight restrictions. Some flights may not allow more than one pet, so if you’re traveling with more than one, check with the airline. Be sure your pet is up to date with vaccinations, as you don’t want him or her to be susceptible to illness while traveling. Most airlines will require a time sensitive health report from a licensed veterinarian. There are also kennel restrictions and some breed type restrictions. If you check your airline’s website, you’ll find all the information you need to know what is expected of you and your pet for travel. Whether flying or driving, pack enough food and drink for your pet. Pet bowls, medication, bedding, and toys should also be packed. Some pets will lose their appetite during a trip, but will get back to their hungry selves in no time once you’re settled. Moving to a new location, even if it’s temporary, allows for an opportunity for your pet to go stolen or get lost. This could happen during travel time or while you’re residing in your temporary home. You may want to consider microchipping your pet to ensure that you can find him or her if this occurs. If you do microchip your pet, ensure the chip company receives all registration papers and details. This process ensures that if the pet is lost or stolen, the company can track it back for you. It acts like an insurance policy. Then the pet can be tagged to provide a means of identification. The ID tag should have a phone number and an alternative address that can be used in case your pet is lost. Whether you’re a tech traveler or traveling therapist, pet safety is always first. This means always putting your cat in a cat carrier and your dog in a small carrier or seatbelt. If you let them roam in the car, they are more apt to become injured. At the very least, they may distract you by jumping on you or in some cases, as in scared cats, jab their claws into you, possibly causing an accident. Think about the housing arrangement with your pet in mind. Dogs will require a bit of room to run around outside. You may want to choose a place that is convenient to taking your dog outside. After all, you won’t want to feel like trudging down five floors at 5am to take Rufus out to use the bathroom. Cats are not as needy, but they may like such features like a balcony to soak up the sun. If you’re going to be at work long hours, consider hiring a pet sitter to take your dog out for a bathroom break while you’re at work. Cats don’t usually require pet sitting, unless you will be out for more than a day. Check reputable pet sitting companies and always do a trial basis before making a firm commitment to a person or company. Travel jobs can upset pets momentarily. When they’re not in their normal environment, it can cause them some stress. Give them extra attention and love to assure them that everything’s alright. When your pet feels that you’re alright (and many times they can tell), he or she will feel less anxiety and more at peace. 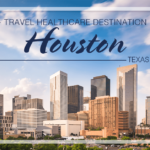 Healthcare traveling is certainly an exciting and rewarding career, and it’s even better when you can have your furry friends pack up and go with you. 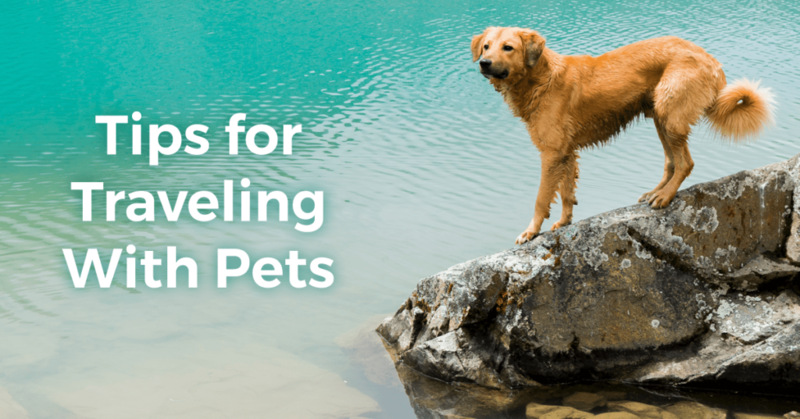 If you’re ready to embark on a travel assignment with your pet, keep these tips in mind. You’ll not only save on fees for a pet sitter or kennel, but you’ll also be able to stay connected with your lovable pets while you’re on assignment.